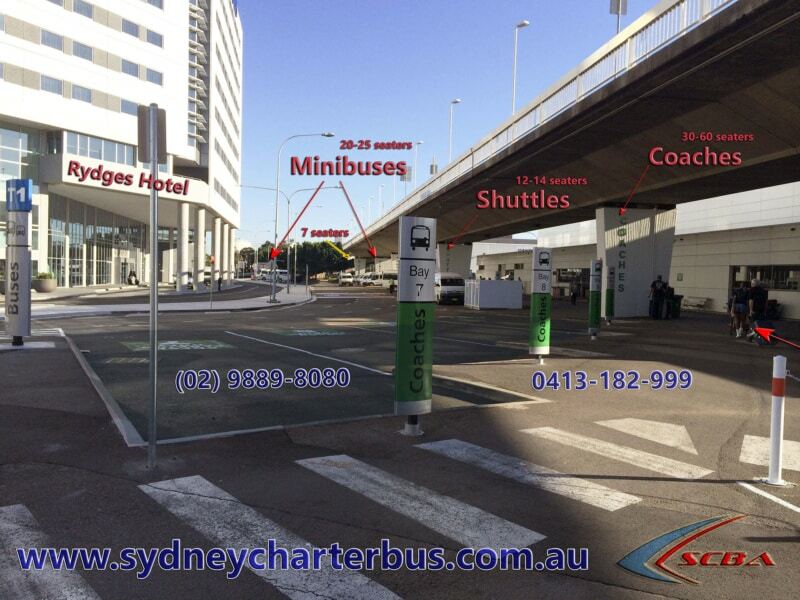 You would have received a driver name and contact number by Sydney Charter Bus by email or phone prior to arriving at Sydney International Airport. The minibus or coach will be waiting at the minibus and coach holding area located near the long term car park close to the Domestic Terminals, about 15 minutes from the collection point. Passenger arrivals shall walk out of the terminal on the ground floor and turn RIGHT and proceed to pickup area where the bus or coach will be arriving or waiting. If no driver phone number has been allocated please call the office mobile on 0413-182-999. During AM & PM peak hour services, the travel time for the bus from the holding area to the pickup zone will be longer. All our coaches & minibus are CBUS (Charter Bus) registered & NSW Government Accredited (Acc: 35281) for Bus Lane usage and Bus Only entry and exits.